Hosted ACD services can be provided to virtually any size organization by Database Systems Corp. (DSC). Automatic call distribution (ACD) phone systems and hosted ACD phone services are supplied to commercial organizations and government entities who wish to have calls answered automatically using the latest phone technology. DSC provides call processing phone services from a secure call center that answers calls automatically and distributes them to work-from-home employees or remote agents. Phone support representatives no longer need to work at one centrally located call center. A typical ACD phone service will process incoming phone calls on a first come / first serve basis. However, intelligent hosted ACD services such as those provided by Database Systems Corp. can analyze each incoming call based upon caller identification, dialed number, time of day, and other user defined guidelines established in an IVR (Interactive Voice Response) program. This ACD hosting service employs IVR technology to route calls however a business or organization requires these calls to be processed. Contact DSC to learn more about our hosted ACD services and automatic call distribution phone solutions. Ankida provides phone coaching solutions to its customer utilizing our advanced call center technology and hosted ACD service center to process incoming calls from customers. Subscribers call Ankida's 800 number which is answered by our phone service. 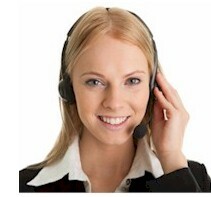 Callers are connected to Ankida specialists based upon the needs identified by the callers. Complete database, phone and call accounting services are provided by DSC. Phone applications and ACD call processing are becoming an integral part of business and service organizations. Both public and private groups are providing information to members and clients 24 hours a day. In just a short period of time, this technology has been applied to a growing number of industries and projects. Hosted ACD services from Database Systems Corp. are provided at our secure data center. Here are just a few of the functions provided to our ACD outsourcing clients. Contact DSC to learn more about our ACD phone services and call answering solutions.